Most flavorful sauce I ever tasted!! Maybe it's not the hottest but the flavor is really tangy and it has a kick to it, but you can use a lot and still not need a fire extinguisher. 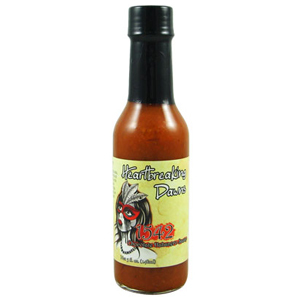 You'll love this hot sauce. This is my favorite hot sauce. I love the Amazon pepper. I found this sauce in a trip to Colombia and love it. I was so glad to see that it is available in the US. I use it just in about everything. It is spicybut flavorful and my friends always ask me where they can get it as they also like it a lot! I love this sauce! I have been getting it out west for years, but I still can't find it in Tennessee. You guys have the best deal on it! Thanks!! !